The camp programs offered by TLC are unique and customized to suit the age group and learning objectives of the students availing of the course. The program duration is between two to fifteen weeks. Class set-up may range from 1:10, 1:2 and 1:1. TLC may also handle weekend trips, board and lodging and mini-internships. Most importantly, TLC’s camp students do not only get to learn English in the four walls of the classroom. They are given ample opportunities to interact with other nationalities and practice their English skills as they engage in informal conversations with Enderun students and teachers. They attend events that would allow them to speak and perform in public. A culminating program is usually conducted and this is where students showcase their English skills through mind-blowing and substantial performances. This class has the primary goal of helping students achieve proficiency in communicating in English. It also prepares students to use English in a wide variety of academic and social contexts by encouraging them to speak and write about past and contemporary issues, discuss their thoughts and feelings in group discussions and most importantly apply the concepts they have acquired in their speech lessons through dynamic activities. Lastly, the participants will be asked to read about current events and listen for details and main ideas using authentic materials. This public speaking class offers ESL students an ideal opportunity to interact with other speakers and to improve their fluency in English and listening comprehension while learning about spoken discourse. Learners will enrich their speaking skills through diverse activities that will allow them to communicate using different expressions and correct speech. 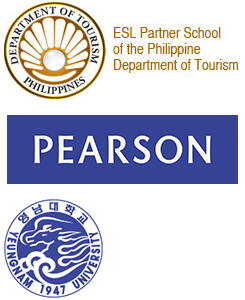 Each module is divided to three categories: pronunciation, functional English, and public speaking. This program will allow students to hone their public speaking skills from dealing with fear of speaking in front of an audience to learning how to use gestures. Thus, the student will learn about public speaking in a holistic way. In this class, students will be provided with topics that they can freely talk about. These topics are coupled with interactive tasks that will allow the students to use other means to express their ideas. The topics prepared are highly relevant and substantial. The class set up is more informal and applies the conversational English approach. A personalized approach shall be used so that students will have ample opportunities to speak. This program promotes the integration of the four core skills reading, listening, speaking and writing. The innovative and challenging tasks in this course lead learners to achieve their language goals in a structured yet non-traditional manner. It explores topics that are intellectually challenging and offers themes that are fresh and contemporary. All topics contain a functional approach and therefore may be used for daily conversations, formal or informal exchanges and more. Face-to-face conversation is the essential context for oral communication. Conversation models are carefully scripted to illustrate communicative functions whilst also reflecting natural language rhythms and use. Specialized English related to the student’s course shall also be part of the course. Here, students learning English vocabulary for culinary students. Through the guidance of Enderun’s expert chef instructors, who will both direct and encourage the students, more advanced culinary techniques shall be taught. Each day in the series covers a different sphere of culinary principle for students to finish with a confident understanding of the different areas of the field. This course is designed to aid professionals and students in enhancing their communication skills, most especially in the hospitality field. The functional aspects of the course cover the work routine of receptionists, porters, room attendants, waiters, bar and kitchen staff. The students will also be exposed in a variety of situations, which involve service to the customers and coordination and collaboration with colleagues. The beginning of the course introduces topics like phone enquiries and reservations through payments and queries. Language syntax and structure shall also be covered in this course as these are incorporated in the expressions to be used. This class offers a unique and dynamic approach in developing one’s interview skills. Valuable advice shall be provided in order for students to successfully answer challenging and tricky interview questions. Moreover, they will learn how to deal with the usual predicaments of preparing for or handling the interview process. Specific steps in building rapport and trust during the course of the interview will be provided. Other topics such as initiative and ability, career objectives amongst others shall also be tackled in this course. This course aims to show the students how to organize personal information and experience into a concise and substantial resume. Language and vocabulary play a significant function in resume writing. In this course, students will be taught the different techniques to highlight their strengths in terms of their educational and professional background through word form and word choice. The students shall also be provided with worksheets that will help them construct the various parts of their resumes. Writing a resume is an important step towards a successful job application, and at the end of the course, the students should be equipped with the skills to progress in the job application process. This program aims to enhance the students’ theoretical knowledge about airport operations and procedures. They shall be exposed to the airport employees’ daily routine as well as perform tasks based on their designated positions. They will also be given a comprehensive orientation and regular coaching so that they will be able to learn in a more effective manner. They shall be reporting from morning until afternoon to maximize their simulations. This program shall allow the students to put their theoretical knowledge into practical use. They shall be exposed to a one-day practicum in either a restaurant or hotel and be given a certificate afterwards. Table setting, dealing with customers and taking orders are some of the lessons that they shall apply while serving real customers. A certificate shall be awarded after the practicum. This authentic activity shall expose students to the key departments of a five-star hotel. The exposure trip includes a tour of the hotel’s bedrooms, function rooms, amenities, front and back of the house. The students shall also be given a mini-orientation about the hotel’s history. A lunch buffet shall follow.